Project Engineer Karishma Desai, P.E., of Eustis Engineering was sworn in as New Orleans Branch president of the American Society of Civil Engineers (ASCE) on 21 July. Dr. Tonja Koob, P.E., and Karishma Desai, P.E. Ms. Desai has worked at Eustis Engineering since 2012 and has more than 12 years of experience in geotechnical engineering. 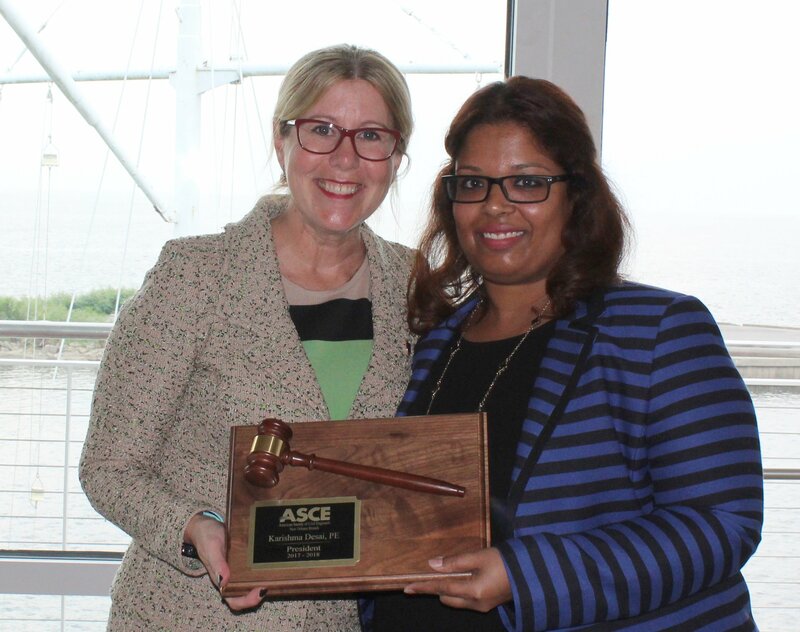 Before the outgoing ASCE New Orleans Branch president, Dr. Tonja Koob, P.E., passed the gavel, Ms. Desai gave a speech touching on women in engineering and the need for outreach to young people who may be interested in engineering. “It has been a privilege to be a part of the ASCE board and to work with such fine engineers: people who share my curiosity about the world around us,” Ms. Desai said during her speech at the ASCE luncheon, held at the Southern Yacht Club in New Orleans. 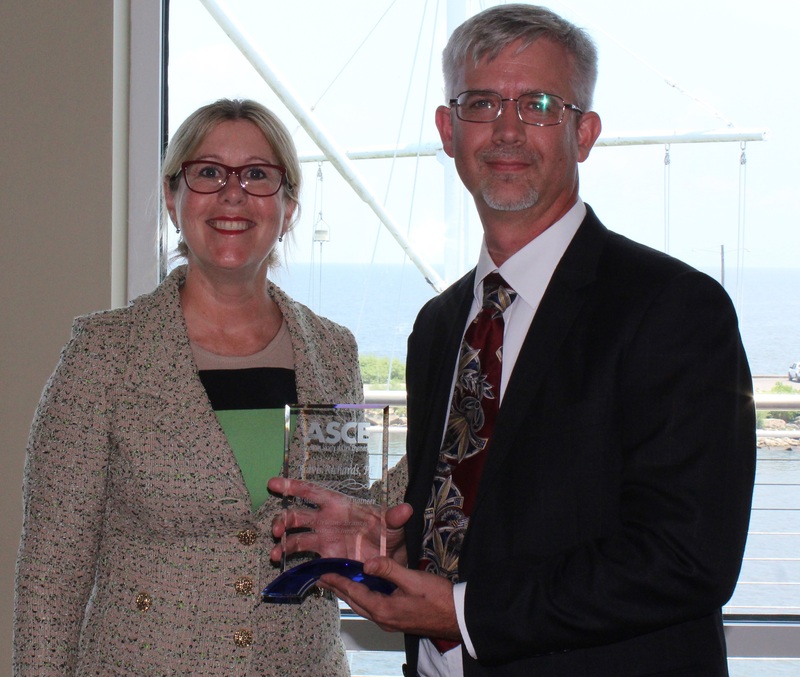 The luncheon was attended by approximately 80 people. “We’ve all heard the saying, ‘Behind every successful man is a woman,’ but it can also be said that behind one woman’s success are many other women,” Ms. Desai said. She listed the inspirational women in her own life as Eustis Engineering Executive Vice President and Engineering Manager Gwen Sanders, P.E. ; and Koob, among others. Dr. Tonja Koob, P.E., and Travis Richards, P.E. 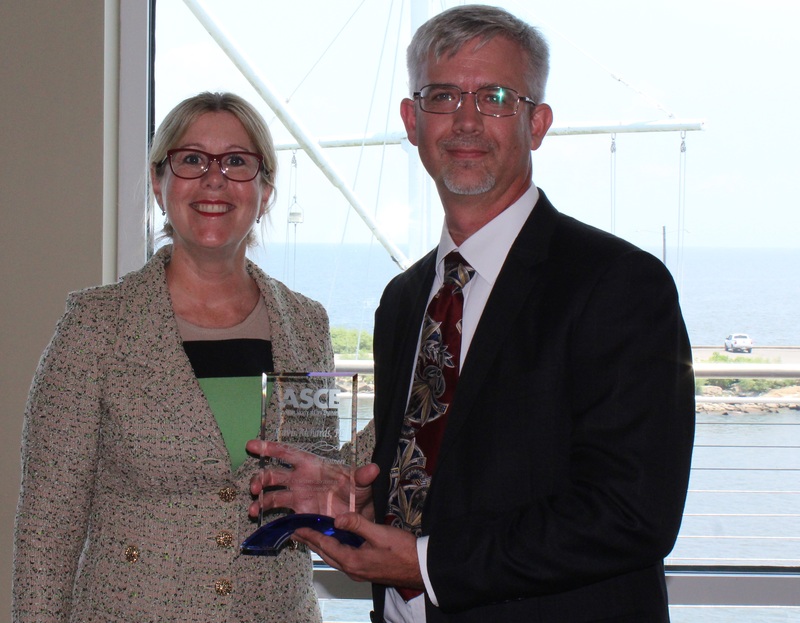 Travis Richards, P.E., Senior Project Manager and Vice President (Laboratory and Testing) at Eustis Engineering, was selected as Outstanding Civil Engineer by the ASCE New Orleans Branch. Travis has spent 12 years at Eustis Engineering, for a total of 18 years of experience. Travis manages Eustis Engineering’s instrumentation programs and supervises the management of the drilling, construction materials testing, and laboratory departments in our Metairie office. He also is in charge of the oversight of the QA/QC for the company’s laboratory and CMT services.